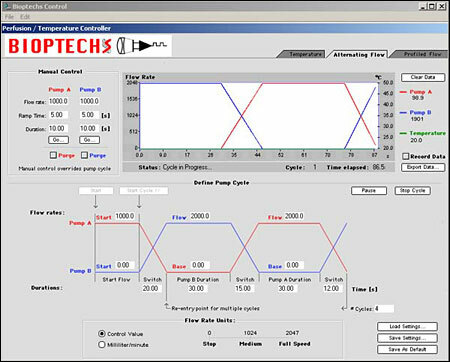 Ability to control media flow in a ramping manner for numerous cycles. This intuitive control interface system is optimized for time lapse imaging of live-cell activity. 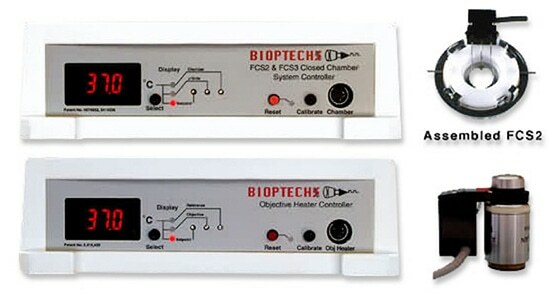 It provides a convenient, accurate, reliable, and repeatable method of controlling fluid and temperature for chemically or thermally induced change experiments in live-cell chambers. It is WYSIWYG on both Mac and Windows platforms! 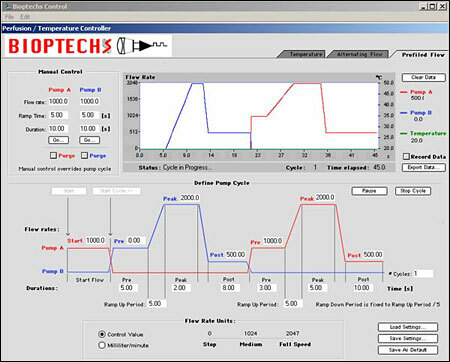 Click here to view a video demonstration of the Computer Control Program. A typical scenario: Ca++ free medium flows from pump [A] at a specified flow rate to equilibrate cells for a selected period of time. Then pump [A] is shut off as Ca++ rich medium from pump [B] starts at the same flow rate as the previous [A]. Pump [B] then accelerates at a specified rate to a specified peak flow rate and holds for a specified period of time sufficient to displace the dead volume of the prior media in the tubing. 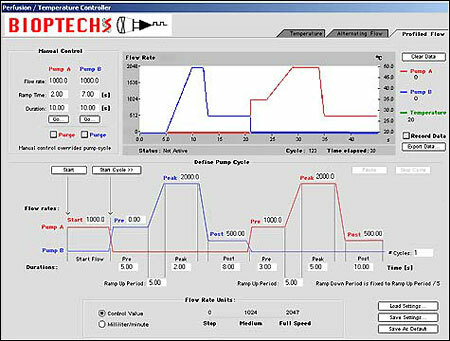 At this time the flow rate of pump [B] is reduced to a specified rate optimal for imaging. This process is then repeated either cyclically or on demand. 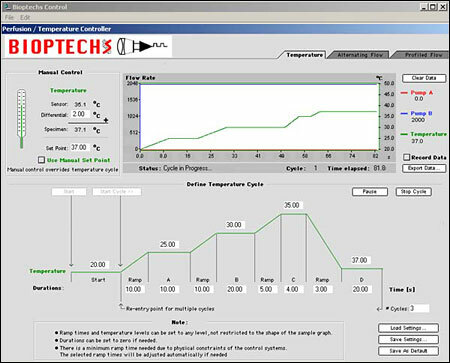 Test drive the Bioptechs software for Windows! Click here to download SetupBioptechs30.exe for Windows (12.3 MB). Double click on the file to install, then follow the on-screen instructions. 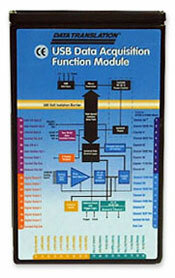 Plugs into the USB port on Windows or Macintosh computers. 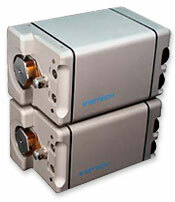 Plug the pumps into the USB Data Acquisition Function Module and control two separate perfusion sources. Plug the FCS2, Delta T or Objective Heater into the USB Data Acquisition Function Module and have temperature control of your experiment, with the ability to record temperature data.